Intro to the "Commercializing Your Healthcare Solution in the US" Workshop by Geof Baker of VenAdvisory sponsored by ventureLAB. This workshop took place in Toronto, Canada, on July 26, 2018, at the IBM Innovation Space, Markham Convergence Centre. Where are you on your business journey? Early-stage? Growth? Enterprise? Product-market fit validates, denies or qualifies assumptions with customers. It replaces belief and propaganda with voices from industry and customer. A universal problem is under-investing in the business development effort hindering the validation of hypotheses. A lack of product-market fit leads to failure. Commercializing Healthcare Solutions in the U.S. This event has passed. You can watch segments of the workshop by clicking the part 1 video button. It’s a challenge breaking into the U.S. market. Traction is hard. Competition is intense. Companies use VC funding to buy business. Pilots are hard to convert into paying contracts for sustainability (LTCV). Too many companies falter in the go-to-market phase, exposing themselves to lower valuations, significant financing risks, and suboptimal outcomes. These companies may lack product-market fit, business model fit, localization, proof points, and customer validation. Forty percent of all failed launches are due product-market fit alone. Who pays? The consumer? Insurance? The government? Pharma? It’s hard to follow the money while simultaneously making your business case in the U.S. with the plethora of reimbursement, business model and regulatory paths. To create paths forward, VentureLab and VenAdvisory bring you a working, collaborative session where we will offer real-world, practical tools, frameworks and tips for commercializing health solutions in U.S. markets. See how you can save 30% more time and money while getting to market. The advisors and Geof at VenAdvisory serve startup, growth-stage, and enterprise-class organizations by accelerating the adoption of innovative solutions in healthcare ecosystems. VenAdvisory has worked with over 80 healthcare CEOs with their business and go-to-market (GTM) plans, judged winning pitches at HIMSS, Mass Challenge and Health 2.0 and work with incubators. Geof is active in digital health leadership communities as a workshop facilitator and speaker at conferences. Previously, he founded and sold several service and software companies. He has have worked as Chief Marketing Officer for a $100M HIT company, served in executive roles at Cognizant managing a P&L of +$100M, executed transactions with corporate development teams (from $25M to $2.7BN), raised $16M in capital, founded, built then sold 2 IT companies (Optum, +$30M IQVIA). His prior work experience includes HCA, EY, and Cigna. He received his MBA from the Wharton School of Business and BA from Williams College. This workshop event will be on-site at the IBM Innovation Space - Markham Convergence Centre in Ontario from 10:00 am – 1:30 pm EDT on July 26, 2018. We are very excited to have Purvi Gandhi and Geof Baker join us today, both of whom bring many years of investment operator and startup experience into this commercialization discussion. Let's pivot to our speakers Purvi and Geof. Thank you Julia, and I'm looking forward to sharing all my experiences of having seen perhaps over a thousand startups and being part of investments in 200 plus startups here in silicon valley throughout us and including internationally in Asia. I'm particularly looking forward to sharing with you my CFO lens, which is: how do you raise cash, how do you manage the cash, have you get traction with the cash and how do you hit the next milestone? I'm fortunate to have both the experiences of the harder and successes as well as some of the failures and I'm really glad to help others today and be part of MassChallenge. Briefly, our firm helps entrepreneurs and companies grow their value by closing the gap and product market fit and gaining early proof points and sales interest. Business to business cycles can take about six to nine months at the enterprise level and that really varies depending on the solution complexity and the top bar we see that there's a 30 percent difference between the average enterprise sale and what companies do today. And the reason for that is there's some evidence-based frameworks that we'd like to share with you today. So, you've all heard, your parents tell you ever since you were born that it's important to save money. That learning comes in very handy when you set up your own startup. And what we mean by this is that the key to validating your business idea comes when you gain early signs of customer traction and it's very critical for you to understand how you will gain that traction. Also, what level of capital is required to gain that traction. And perhaps at the early end, think through alternatives to gaining traction at the most minimal amount of cash outlay. I think are very related metric here is also when you gain that customer, what is the potential long-term value and is there anything you could do to extend that? If you could bring in that kind of discipline early into your venture I think you are set up to preserve the life of that early hard-earned capital that you will have raised. There’s a universe out there of different management theories, startup playbooks on sales, product management and marketing. In particular, there are two that really stand out for new launches and customer validation and a go to market theories, and that's because they're evidence based. And then down below, what's also interesting is, from INSEAD, there were about 490 authors that did an early crowdsourcing of business model design. And that was the forerunner for design thinking, which has been used by Stanford and other universities, and it was also forerunner for books like Lean Startup from Eric Ries, the many of you are familiar with and a guy named Ash Maurya who did The Lean Canvas, which is used by many entrepreneurs and incubators today. So, there are hundreds of these books out there, but one in particular we found to be very helpful in developing sales metrics and Max Altschuler’s book Hacking Sales and he talks about the different types to set up these CRM systems and these free tools and ways to get the metrics. It's very likely that you'll get trapped, you'll get trapped in time as you burn more time and cash and not get to market. And that's what is known as the Valley of Death. These five points are critical to understand. The product market fit I think is probably closest to Geof's heart. By that what we mean is that, and I think CB insights has also pointed this out, is that when you are excited about a product, that is great. That is exactly what we want to see in an entrepreneur from an investment perspective. But is that product the right product for the market today or the market as it evolves? If it is not the right product for the market today, but perhaps right for the market as it evolves, then definitely position it that way, think it through that way and plan to have adequate cash at the front and, to also address that. I think team fit is a very, very interesting one to me. Depending on how you execute through that valley of death in terms of your, your product market fit, you're engineering prototypes. You can stay there for a long time and burn cash or you can pivot out of that and start to get earning revenues. So, it's critical as we start to discuss some of the things today, particularly around how we lower the cost of customer acquisition, and how we lower that cycle time, that we can really diminish that Valley of Death. How should entrepreneurs save time and money going to market? We can go to market and blow through that initial investor capital as rapidly as you want. The question is how long do you want that capital to last? Remember that first capital you raised, you raised very easily. You are working hard for it and now that you have raised it, how should you extend its runway and life? I think if there are themes that I can summarize for our discussion today, those are the ones that are laid out on the slide number nine and the gap closing product market fit perhaps is definitely a very key one early on. The cost of customer acquisition is a very, very big, big point to address as well. You will of course be expecting to get gain significant traction with your exciting idea into an enterprise or into a retail segment very fast. However, nine times out of 10 that never happens and you're going to burn through cash rapidly before you acquire that first customer. So, I would definitely expect everything to work against you as you think of your customer acquisition and then say yet, in spite of that, how will I continue to lower my COA and I'm continuing to move forward and propel. What we really want to ensure is that the company propaganda or what you may be listening to internally is not blinding your process of going to market that is not creating the kind of biases and your assumptions or potentially influencing the way you roll out your features or your product market sets. And so it's very important to have that voice of the customer. I'm involved in this process. And so, this is I think very meaningful in terms of, in terms of getting that bias out of the group process and cutting down your cycle time. Does one happy customer equal your heading that product market fit? And the answer is “No”. So definitely, as you sign up that first customer, even if it's a free customer, you ask yourself “Is this going to help you bring in more repeatable sales and then actually eventually be able to charge those customers and then scale and expand?” That’s an idea to accomplish. These are the inner loops of a harmonized process you want to think about as you start to go to market. From simply screening your screening your particular opportunity, to validating that opportunity in terms of the product market fit represented by the blue interloop, and the gray loops and then actually growing yourself over time. It's the story of Andrus Purde who's an Estonian as he developed a marketing automation tool that was part of Pipe Drive, which is similar to some of the Salesforces out there, the CRMs systems today. It was a cloud-based solution for a small market, small, medium business market priced at $15 a user. He used many of the metrics to track progress and the tools and the hacking sales book that I mentioned from Max Altschuler, but he did this very rapidly because he was able to basically establish the metrics, understand his sales conversion and what it costs to acquire the customer. He’s gone on to advise Weekdone, which is a terrific standup tool. It starts with those personas. Understanding who those personas are, who are those buyer influencers, those users and what are their stories? What other jobs that need to be done, understanding what is it that they do now and what do they need to do and what potentially are those pain points? Is it an easy decision or is it a complex decision? On the hypotheses and assumptions, it's important to spend some time here developing key hypotheses and assumptions for the questions and for you to go to market and typically in the hypothesis testing, you want to test one MVP at a time and you also want to gain some key learning updates in your interviews and the results from those interviews around those hypotheses. So, you would hope that at the beginning of this assumption phase, you've been able to confirm who those early adopters are. If they're interested in your solution, you've been able to validate what the top two three problems are. A, you've been able to identify the critical feature sets that are part of your minimum viable product to go to market. You've also identified the pricing and you've also identified that the customers have a willingness to pay for this solution. There's tons of mentors and MassChallenge, but there's also mentors and all these incubators across the US and UK and across the world for that matter that would be more than interested in speaking with you and may actually provide a referral or become a future member of your advisory board. So, um, the, the other thing we want to be very careful about is when you recruit, you need to also recruit those influencers if they're nurses and healthcare or if they're doctors, but also the buyers who might be the CFOs of these hospital systems. There's definitely a science around market research for developing those open ended and close questions for the qualitative and quantitative research. So, when we think about closed questions, “Out of these five features, what is most important in what is least important?” And in developing those questions, we want to be able to weave the price sensitivity into your feature preferences, particularly if you do any kind of polls. And if you ask someone if they like the product, you should also ask them if they like it at what price point. And generally when you ask that question, the whole conversation starts to change, so it's vital to ask people not necessarily what they most prefer, but what are they likely to use and, and watch them do that. There's a great resource I want to mention. Um, it's, it's an easy read. It's called The Mom Test and one of the things about The Mom Test is that we'd never, for example, ask the question, “Do you think this is a good idea?” And the whole premise here is that opinions are generally worthless, and people will generally not tell you necessarily how they feel because they want to please you. So, you've got to be very careful in not introducing bias into those, into those types of questions. In terms of the campaigns, I think everybody has a good understanding of what a lead generation campaign is nut you want to be able to do the hypothesis testing around your messaging around your value propositions, classically in software that's called the AB test. So you want to test what people are opening, what they're reading, what they're clicking on, and for that matter, if you called up for an interview and schedule that interview, why did they come to that interview? What attracted them to you and your message that led to that interview for your customer validation process. So, through that, through that campaign in the sprints, you want to be able to optimize that messaging. A little bit about those campaigns: generally, in the BTB environment, in the enterprise sales environment, you'll be looking at probably starting out with 100 potential leads in the universe of your, of your prospects out there. You convert those to prospects. So those are people that you touch. They opened up your email they returned your phone call and then the folks that actually schedule those interviews for those discussions, that will lead to potentially five that are interested in doing a trial, a pilot, or potentially purchasing that solution. So, five would be on the high side that range, maybe between three to five percent in terms of an enterprise sale for a $50,000 annual license, for example. The MVP interview itself is generally fairly structured. It should not last more than an hour. You can start the conversation by understanding the person's role, getting to know them, what they do, what their story is and then once you understand their role and their use cases and how they work in their environment and how they would potentially use your solution, it's helpful to provide some artifacts of that. Maybe it's a click through PowerPoint or it's a quick demo of your particular solution and to get that feedback and then you can use a poll using Likert scales a to basically get the feature feedback and the price and feedback and then you can close that out with a Net Promoter score question, which might be “Are you willing to refer this to another person?” And that's a good indicator that there's a high level of interest in this or there's not. And what typically also happens out of that question is you start to identify what the objections are. “Well, I would give this a higher score because it would need to have these things” so that can lead to your next step. A design tool to understand what feature set I'm going to need to get a really high score or to knock this out of the park. The final part of this is really the whole, the whole iteration process and that's really understanding that you might be in a position now to take this to market, or in fact, that this market is no good. You've gone through all the hypotheses and the assumptions you need to add additional features or there are things that you have to test or for that matter, you have to pivot and find another way to potentially use, your feature sets in a market that's very attractive for that particular product. So, we want to identify here is whether your problem or solution has exit criteria. So, for example, have you identified the adopters of the problem? Um, have you defined the minimum features that are needed to solve the problem? Have you identified the price that customers are willing to pay? And for that matter, have you confirmed a business around this? So, if you think about this, a stoplight dashboard, it's a set of criteria for you to move on from that market, stay in that market or potentially pivot completely. The customer's willingness to pay is perhaps a very important one to understand. “Are you willing to pay the price points to, to acquire the product the same? The pricing thresholds become very relevant here. In working with Geof, I definitely learned and tested benchmarking those against not only the willingness but the ability to pay so that we could still gain customers at certain pricing thresholds and continue to validate our product with them and then eventually expand those thresholds with additional benefits and insights like pitching a very generic, very simple model. Don't make it complicated, keep it simple, and as you gain the interest, even perhaps at a lower price point, the question is, can you extend that customer's LTV and their interest by adding in things that they would want and then being able to charge them incrementally. That gets you in the door in front of them at a very low pricing threshold perhaps, but then allows you to upcharge over time. The solution has to be something that solves a major problem. An incremental solution to an average problem is a very, very difficult sell, especially at the enterprise level. And if you are going to do that, if you are going to solve just a slight problem in an incremental manner, perhaps another option is to consider a channel partner very early on so that you are not pounding the pavement, convincing the customer that your company is going to solve a major issue for them. Those proof points are critical. So, these are: testimonials, this is the ROI calculator, this is the belief in your value proposition. Proof points are 40 percent more important than benefits in predicting the success of any innovation. So that's where the value proposition comes in. This is your claim that you do something and it's believable and it's provable and there's this whole process is that your sales team can have better conversations and in doing this, this product market fit you can actually reduce your outside agency costs for websites, customer ROI calculators, branding and so on. Because a lot of the content, a lot of the results that you generate from this process can be used directly. And this is a concrete example of what the product market fit lean validation process does for you. And there are these many spinoff benefits. So, we've described the customer interview, we've described some of the results in terms of the stoplight dashboard. We've talked about some of the insights that you've gained from that process through these validation interviews. Will all that information can then be condensed, be purpose. It can be purposed in terms of the micro sites that you were testing, the features that you are testing into a new landing page and it can create the web and the case studies by some of the quotes that folks are happy to be quoted on. You can create those sales decks, you can actually simplify your sales contract, and for that matter, you can put an ROI calculator on your website. And most importantly, you have now a super explainer video to cut down that sales process. Those phone calls, the customer can go to that explainer video and understand exactly what is it that you do and what makes the proof points in that particular video very compelling because you collected that evidence through your conversations and through your interviews. And then finally, after you've made these repeatable sales as Purvi was describing, you're in a position to do a press release and make announcements on LinkedIn and other places. We hope that by going through the PMF process, you've been able to identify what your sales like sales cycle looks like, the duration of that sales cycle, the mix of marketing and the mix of sales in that process. It shows the kind of sales people and the kind of cost I'm going to incur in order to sell my product. So, if I'm on the right-hand side of this, I'm going to need a field staff team. Getting this right, understanding this mix can make a dramatic difference. Market size and the TAM are very important. Segmenting the market is also very helpful early on. Some of our most sophisticated entrepreneurs tend to not only understand the TAM, but they segment the TAM out and try to understand the willingness and the ability for each of these segments to pay them. And then also the sales cycle for each of these segments. Pricing, of course, I believe that that first opportunity to get in the door is very relevant and you might have to price down in some cases as you enter. I know a lot of entrepreneurs who say that “My product is so exciting, I'm not going to sell the low price point period. The customers will have to understand its value” and unfortunately, the enterprise side of the world doesn't work that way. They have to see something, prove out and then you can make it very sticky and price up and in fact, increase LTV as you introduce your product in phases to an enterprise. Well, we would expect to see things like strong usage patterns over time by our customers. We would see adoption, we would see activation. We see lower retention, lower churn rates. We would actually see an improved sales conversion rate as our brand is established. We would expect to see that improve over time rather than a lot of investment that that may take. We will actually start to see a repeatable growth and more bookings and more importantly, annualized recurring revenues, which is a metric that many will watch. The other thing we want to see is we want to see profitability as we start to come out of the trough, we want to ensure that, that, the long-term value of the customer, whether it's three years or four years, if we look at the revenue that that customer generates, it exceeds the cost of customer acquisition by at least 3X. How long does it take us to actually recover, uh, the cost of that customer acquisition over time? And then by doing these, um, things that we described around lowering your cost of customer acquisition and by going through the product market fit process to identify what is it that we need to do we can achieve that, that 20 to 30 percent delta that's been borne out by 1200 companies and more from Steve Blank's experience at Stanford as well as MITs. Always understand the situation before you take the action. We certainly don't want to have you stay within the Valley of Death, but rather get out of that as quickly as possible and climb the trees as you need to and, and, and find new forest so that you can build your house and be successful with your strategies. As a startup you have to have the agile mentality and a pivot can be pivotal. Very good idea. They could not monetize it. They could not get the mass market traction. And very interestingly, as they were running out of money, they came to us and said that we are really low on money and we have not gained customer traction, so time to, for us to fold up the company or pivot and we decided to pivot and here's what we want to do. They had done the analysis around how, much more money they would need to continue to push that technology through and who their customers would be. So, we did another round in them and today this company is at $400,000,000 valuation and I'm just blown away that in three years that it went from a wedding registry to a vested search company because they were so agile, the earliest indicators of course being that the cash was running out and they had to survive. There are other, other approaches of identifying when to pivot too but, one of the shortest measure as early on as you set a benchmark for how you want your cash to stretch and what milestones you want to hit and halfway through your execution, you're not hitting any of those milestones and you have a certain amount of cash left, you might want to think of where else you can pivot with what you've developed. I’d like to add an example from our portfolio companies, one on the retail side and one on the enterprise side about how they leveraged channels. On the retail side, we have a very exciting smart oven that cooks meals, artificially intelligent, you can put anything in it and it senses what it is, and it cooks it to your desired point and alert you through your iPhone when it's ready. And this is a brilliant idea of course for the market and the millennials and, and the, the food market as you know, Blue Apron and hundreds of other companies trying to solve this issue of meals at home for one very, very interesting thing that entrepreneur has done is a find a channel partner in a very, very large prominent grocery chain and basically working with the grocery chains to this chain to design meal kits. So that on my way home I could go in, look through this rack of options, what I want to cook. I can literally go home and throw in the oven as they are, and I've got a meal at home that is fresh, and I can go for a walk and it tells me when it's ready or I can go have a drink and a neighborhood bar with a friend and it tells me your food is ready at home. This channel partner I think is going to be very pivotal for the company to hit the hit the larger market. They don't need to be out there spending a lot of money marketing directly to the customer at this point and they're partnering with this grocery chain. Fantastic. I think we have about time for one more question. Okay, sure. The question is, “Are there some key metrics, which might be misleading?” and I think that's a, that's a very good question, I mean metrics likes statistics have been used in ways that can mislead us if not confound what the reality is of, of your actual performance. And I think the metrics of that folks use sometimes they're very specific to the industries that they're in. But I think the, the, the COCA metric that we have used, the sales conversion metric, the long-term value metric are very, very good metrics to identify how you're actually doing and they had this sort of relationship between the duration and the time as well as what's happening. So, I think looking at the metrics over time, looking at the interplay of these metrics with others, provide the insights to really guide your business. So, in looking at this, we really want to understand what's the quality of those revenues, do we have a lot of churn in those revenues? Are the type of customers that we're acquiring going to cost us a lot to maintain? Are we getting instore growth with those customers? Are we running out of market for those customers? So, I would focus on those one or two that I think are of importance to your investors into your board or if you're in a large company, to your managers into the P and l for your nonprofit that drive outcomes for example in healthcare. Um, but there are definitely some metrics that can mislead. And I think it's, it's sort of a basket of metrics that can really provide the visibility and insights into what's going on in those relationships. The ones that can be misleading is ones that show that, “hey, we kept our cash and burn very low. We were spending very little money as a startup. “I think it's irrelevant to track cash but want to eat or the ROI on the cash against calls made customers interviewed technology progress on the product side and so as, as much as I like, I like to see cash saved, I don't like to see it preserved at the compromise of both either. I think another, another misleading one could also potentially be the overall market size and as a number of uniques, that you may be getting are less relevant as more customers that you are able to convert. You have a very high conversion rate early on and then you are turning up your unique visitors. That's when, but just getting a lot of people to visit your site and not being able to convert even a half a percent of them early on is a, is a very metric unless you believe that down the road that high volume of visitors are our recurring visitors that can be monetized. Alright. Well thank you so much. Purvi and Geof, that marks the end of our hour together everyone. Thank you everyone for joining today and thanks again to our sponsor, MassChallenge and have a great day! To view, video is available here. A Commercialization Chat With VenAdvisory. As part of a June 6th MassChallenge Texas event, this webinar was edited from its original 60-minute length. Available transcript is here. It's a challenge launching your solution. Only 10% of all launches make it. Markets are overcrowded, VC over funding hasn’t helped, enterprise (B2B2C) sales cycles are long, customer adoption requires change, and business cases are hard to make. Too many companies falter in the middle, go-to-market phase, exposing themselves to lower valuations, significant financing risks, and suboptimal outcomes. These companies lack product-market fit, localization, and need for proof points, and customer validation. This session offers practical tools and tips for commercializing tech solutions. We will wear our product manager, business development, and investor hats. How to close the product market fit gap, confirm sales interest and scale. 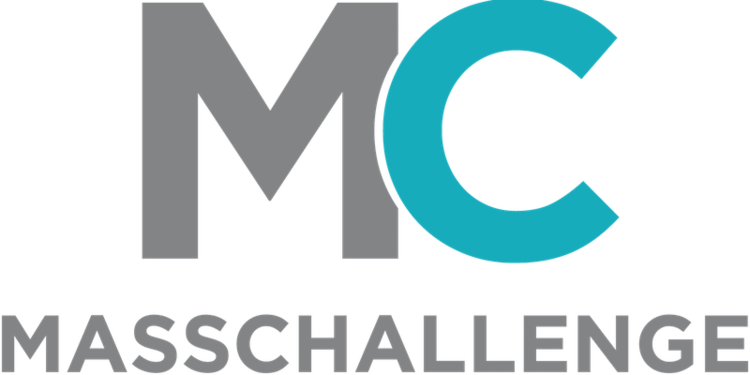 MassChallenge is a global network of zero-equity startup accelerators. Headquartered in the United States with locations in Boston, Israel, Mexico, Switzerland, Texas, and the UK, MassChallenge is committed to strengthening the global innovation ecosystem by supporting high-potential early-stage startups across all industries, from anywhere in the world. To date, 1,495 MassChallenge alumni have raised over $3 billion in funding, generated over $2 billion in revenue, and created over 80,000 total jobs. Purvi is an advisor for VenAdvisory and works at Hone Capital. In the past 18 months, Hone Capital has invested over $100MM in over +350 early to growth stage startups in the technology sector (healthcare, consumer, fintech, AI, B2B, B2C). Hone capital network has provided a deal flow of more than 1,000 quality opportunities in just the past 12 months. For the past 20+ years, Geof has driven topline revenue growth in IT services ($165M in 3 years). He managed a P&L of +$100M, raised $16M in capital, executed transactions with corporate development teams (from $25M to $2.7BN), and built and successfully sold 2 companies (Optum, +$30M IQVIA). In Q4, 2016, VenAdvisory®, a digital health commercialization firm, evaluated the product-market fit for an innovative, first-to-market wearable mobile solution for patients recovering from total-knee and total-hip replacement surgeries. The solution called Breg Flex is designed to accelerate patient recovery anywhere, anytime for total joint replacements. Flex supports conservative therapy before surgery and recovery from sports injuries. Unique to Flex is the use of visual coaching and gamification. The visual coaching relies on a real-time avatar; a likeness of the patient performing exercises that are displayed on a mobile tablet. Under watchful observation, patients are motivated to perform their daily exercises. Outcome results are captured automatically and reported to a patient panel progress dashboard for care team review. The VenAdvisory study found that approximately $1,500 to $2,000 can be saved on average, with Flex for each $20,000 THA and TKA Medicare patient (i.e., Comprehensive Care for Joint Replacement (“CJR”).2,3 The interview results also identified that Flex addresses remote patient monitoring needs, particularly patient adherence to prescribed home therapy treatments, management of pain and avoidance of potential complications that leads to emergency department (ED) visits and readmissions. The study was sponsored by Breg. Still in 2017, significant opportunities remain to save further cost and optimize outcomes in post-acute care (“PAC”) discharge services. How then, can these PAC costs be further reduced? How can patients benefit from accelerated patient recovery in the comfort of their home while provider confidence in patient adherence is addressed in near real-time? As episode of care reimbursement and incentive models evolve and clinical pathways change quickly in response, what emerges is a delicate balance that must weigh patient risk factors.5 How to safely balance - reductions in length of stay, steerage to ambulatory surgery, shifts in discharges away from skilled nursing facilities to home and reductions in home health and physical therapy visit costs without spikes in ED visits and readmissions. “Sensor technology is the wave of the future"
Equally important is the patient perspective. Can the patient experience be improved by reducing the out of pocket expense, time and commute to outpatient therapy? At three independent sites, orthopedic surgery practices prescribed a prototype (wearable device and mobile application) to 25 patients undergoing either a hip or knee replacement surgery. Detailed patient interview feedback was collected in 2016 and early 2017 regarding their recovery experience using Breg Flex. Keswani, A., et al. Discharge Destination After Total Joint Arthroplasty: An Analysis of Postdischarge Outcomes, Placement Risk Factors, and Recent Trends. Journal of Arthroplasty. June 2016. Volume 31, Issue 6, Pages 1155–1162. Centers for Medicare & Medicaid Services. Comprehensive Care for Joint Replacement Model. Web. Accessed 1 February 2017. Alliance for Home Health Quality Innovation, “Distribution of Post-Acute Care under CJR Mode of Lower Extremity Joint Replacements for MS-DRG 470”. 2011-2014 Standard Analytical Files (SAF) Limited Data Set (LDS); 5% and 100% sample of Medicare beneficiaries, All Part A and Part B Care Settings. Yao, Dong-han, et al. Home Discharge After Primary Elective Total Joint Arthroplasty: Post discharge Complication Timing and Risk Factor Analysis. Journal of Arthroplasty. February 2017 Volume 32, Issue 2, Pages 375–380. Breg. Breg Flex: Mobile Patient Therapy Monitoring for Value Based Care. Results of observational studies of patients. Carlsbad: Breg, 2017. Print. Wang, Li., et al. Does preoperative rehabilitation for patients planning to undergo joint replacement surgery improve outcomes? A systematic review and meta-analysis of randomized controlled trials. BMJ Open. 2016 Feb 2;6(2): e00985. D. Santa Mina, et al. analysis. Physiotherapy 100 (2014) 196–207. Brown K., et al. Prehabilitation and quality of life three months after total knee arthroplasty: a pilot study. Perceptual & Motor Skills. 2012;115(3):765-774. Snow R., et al. Associations between preoperative physical therapy and post-acute care utilization patterns and cost in total joint replacement. The Journal of Bone and Joint Surgery. 2014 Oct 1;96(19): e165. Web. Accessed 12 Feb. 2017. To be continued: This insight is Part 1 in a series of four parts. A full download of the article will be available at the end of the series. In our interviews with executives from 20 different top-tier provider organizations, we asked how wearable technology might support their patient care models and businesses. Below are highlights from these interviews. During our product-market fit interviews and research, we identified several key benefits for a wearable mobile solution among various stakeholder groups involved in TJR surgeries. During the interviews, we consistently heard the need for proof points to demonstrate new technologies and processes. We heard that sales teams approach healthcare organizations and orthopedic practices with new technologies every day. Yet, providers are reluctant to adopt new technology unless it can solve a critical problem, integrate with clinical workflows, save time and money and has a pre-existing business model (i.e., reimbursement). And rightly so, since new solutions involve changing how some clinicians are doing their jobs today. Providers do not favor treating patients differently or practicing differently due to different reimbursement models. The investment in changing protocols or caring for patients outside the hospital and practice site must save time and be worthwhile. Integrated solutions, via wearable sensors and smart mobile devices, that aid patient recovery while automating the reporting of results and events (complications, pain scores) can pay off when scaled across multiple orthopedists and broadly adopted by patients. This applies to both episodes of care and traditional fee-for-service reimbursement models. To be continued: This insight is Part 3 in a series of four parts. New Product Development (NPD) is a systematic framework for guiding processes from ideation to solution launch. The process can be represented by a funnel with many new ideas entering the discovery stage, narrowing to the most viable few for development and ultimate launch and go-to-market (GTM). A common approach is for teams to generate solutions, rank them then build them. This assumes the teams are experts, know their customers and competition. However, it’s critical not to shortcut customer validation. Particularly, the work required to 1) gain a deeper understanding of your customer’s needs, 2) customer jobs to be done and 3) testing of the hypotheses and assumptions for your solution. With pressures on teams to shorten time-to-market, faster realization of value occurs when teams use lean customer validation before they launch a solution. Customer validation leads to better product market fit and higher likelihood of GTM success. According to a 2011 Booz, Allen Hamilton study, sources of innovation apply to many enterprise initiatives. Under step 1, business model tools such as Lean Canvas and inputs such as market analysis help winnow these efforts. In step 2, the teams and management can score the opportunity using several criteria. In step 3, teams can experiment efficiently by creating a short storyboard or brief that articulates Maximum Value Propositions and Use Cases. The storyboard should demonstrate how the solution will solve the customer Jobs to be Done and pain points. The storyboard should also incorporate key assumptions and hypotheses to be tested during the lean customer validation phase. In step 4, organizational understanding of the solution blueprint (what you can build) and go-to-market strategies should start to emerge as customer conversations provide greater clarity on the storyboard. At this stage, it’s critical to validate your proof points, market segments, customer benefits (unique value propositions), sales process, customer adoption cycles and pricing. Equally as important is an early business case. If feasible, a business case should be developed before any further investments in resources or funding are made (i.e., “what if” modeling of pro-forma sales assumptions and revenues). In step 5 to shorten your time-to-market and time-to-value, alternatives to coding from scratch should be evaluated, including assembly and integration of third party assets. The software architect, design, product management and engineering teams are now working side-by-side in testing and making prototypes a coded reality. Throughout this process, customer validation (deep context) continues to drive what you can build rather than a team’s strongly held beliefs or assumptions that may be lacking in evidence. A strong link should exist between testing iteratively and validation of deep customer insights. Step 6 captures the remaining steps required for full deployment and general availability (GA) of your solution. If a de novo solution, this step may include customer pilots before GA to test customer acceptance, work out corrections and to build early testimonials and net promoter scores. When pilots validate your proof points, your organization is now well positioned to make further investments, raise capital and move into full GA release. Investments can be made to ramp and scale, execute go-to-market strategies, expand sales and distribution efforts, increase customer success, roll out developments and plan for future enhancements.